Everyone knows that the Maid of Honor is the bride’s most trusted “Girl Friday”. You, as the maid of honor, traditionally takes charge of throwing a bridal shower or bachelorette party. One of your earliest tasks needs to be to confirm with the bride how she wants it thrown, if she wants one at all. 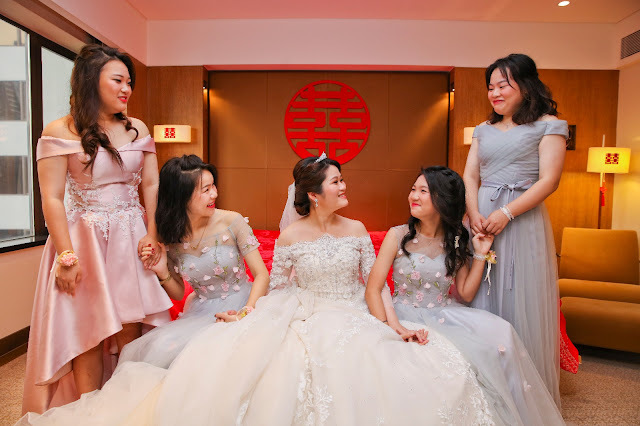 You are also to offer your help in coordinating bridesmaids’ activities such as dress fittings, photography sessions, and other task delegation. Also, take the initiative to help out in the tasks involving addressing or sending out invitations. On the day of the wedding, you are expected to be at the bride’s beck and call, from getting ready to making her way to the venue, to making sure her veil or bouquet are in order. The same thing applies to when the bride might want to change dresses as the celebration draws near to its close. The Best Man is the Maid of Honor’s equivalent to the groom. You take the lead in organizing and throwing a bachelor party, to your groom’s approval. You are also in charge of coordinating among the groomsmen. You are typically entrusted with the wedding rings up to the moment they are needed at the altar for the couple to exchange. Guard them with your life! You, as with the Maid of Honor, are likely expected to give a speech or a toast during the reception. After the big day has happened, you might want to help out in checking with the groomsmen if all rented apparel have been returned. Bridesmaids are like the handmaidens of the Maid of Honor. Be prepared to assist the maid of honor with her wedding planning responsibilities like in the bachelorette party, dress fittings, and wedding photography appointments. Along with the groomsmen and other bridal party members, be available for location shoots for the prewedding videography packages. Always keep in mind that you and the maid of honor are tasked to support the bride before, during, and shortly after the wedding. Bridesmaids typically help out in distributing party favors during the reception. And remember: being punctual for all pre- and post- events count as helping out, too. Groomsmen typically have only a few responsibilities before the big day. Together with the Best Man, you are to help in throwing the bachelor party for the groom. Your presence is likely required for a number of photography and/or fitting sessions. As groomsmen, you are sometimes referred to as “ushers” and thus imply that most of your support will be needed on the event itself. Arrive early at the venues, prepared to greet guests and assist them in finding their seats. At the end of the reception, you and the bridesmaids will likely need to help out in ensuring the gifts have all been stowed and ready for transportation. 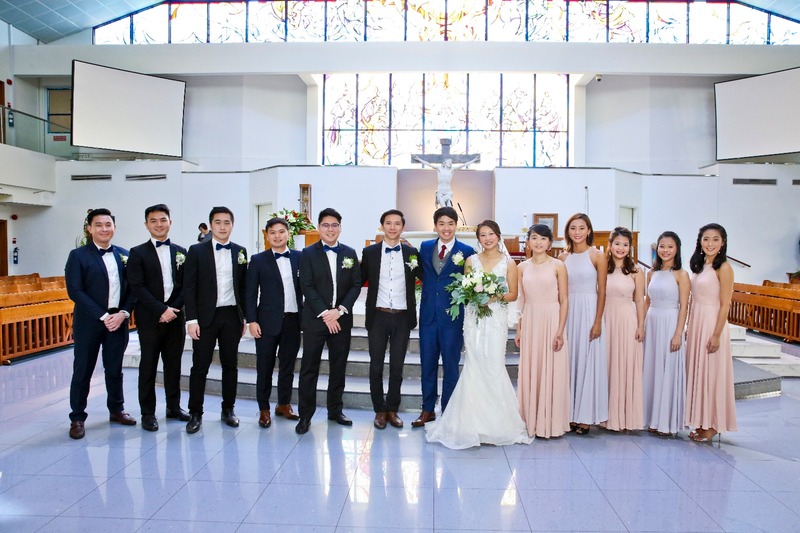 As members of the bridal party, you should always stay ready to offer assistance and support to what the couple might need at any time. Like the newlyweds, you should practice utmost self-control when drinking wine or cocktails during the celebration. The bride and groom can hardly be helped by intoxicated entourage staff, can they? Bear in mind that you and a lot of people will likely watch the ensuing wedding cinematography video. Would you want to be recorded behaving like you might at a local pub while you are in what should be a memorable and solemn event? Strike your best poses for the Singapore wedding videographer and/or Singapore wedding photographer present throughout the event. The most important thing of all is that, with your valuable contribution, the celebration remains at its finest at all times. Wow! It was lovely coming across this post. I haven’t seen such a wedding before. I would like to share this post with my fiancé. We are planning to book one of the San Francisco wedding venues for our wedding day. I am very excited about it.